I promised myself that I wouldn’t post my thoughts on Star Wars: The Force Awakens until after Christmas. Without getting into the movie itself, let me just say that my wife and I had an awesome time watching Episode VII. And I can’t believe that … you know what? Let’s talk board game news instead. Asmodee North America announced it was changing the way it distributes its games. Check out W. Eric Martin’s report here. 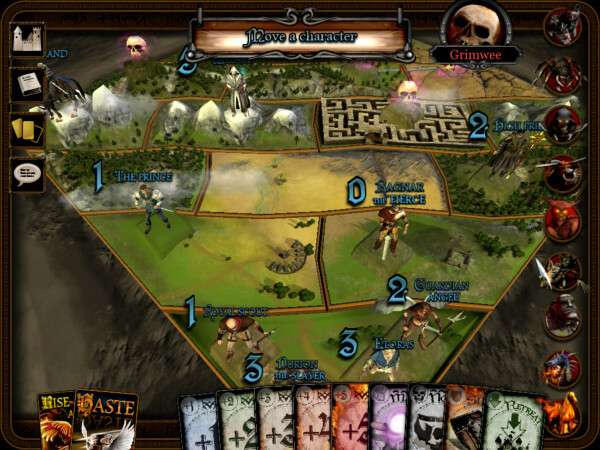 Reiner Knizia’s The Confrontation (shown above) is now available in the App store. More drama in the case between Hasbro and the widow of the designer of the game Life. CNBC looks at the board game industry. Four months ago Hasbro teamed up with crowdfunding site Indiegogo to find its next party game and they have chosen a winner.